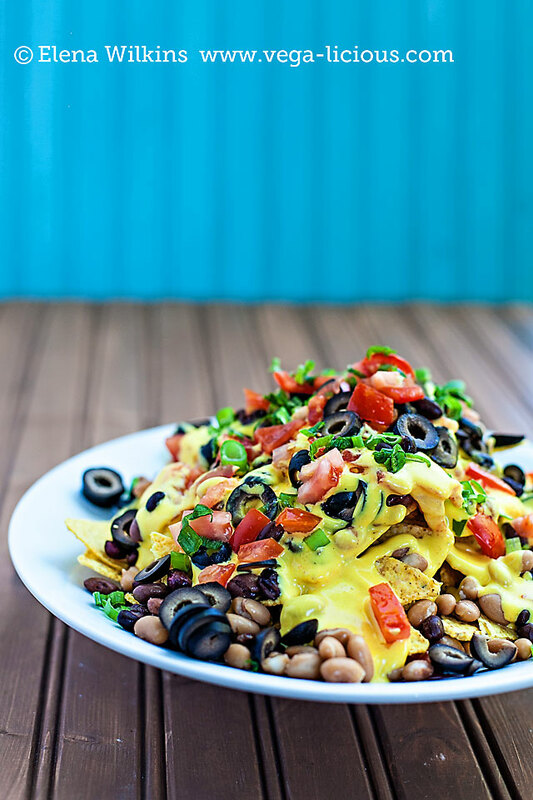 Have you ever taken a bite of something that tasted so good that you immediately knew you were in trouble, because you couldn’t stop at just one serving? Fortunately for my family, and unfortunately for me, I created that kind of food a couple of weeks ago…just because I had nothing else to do. 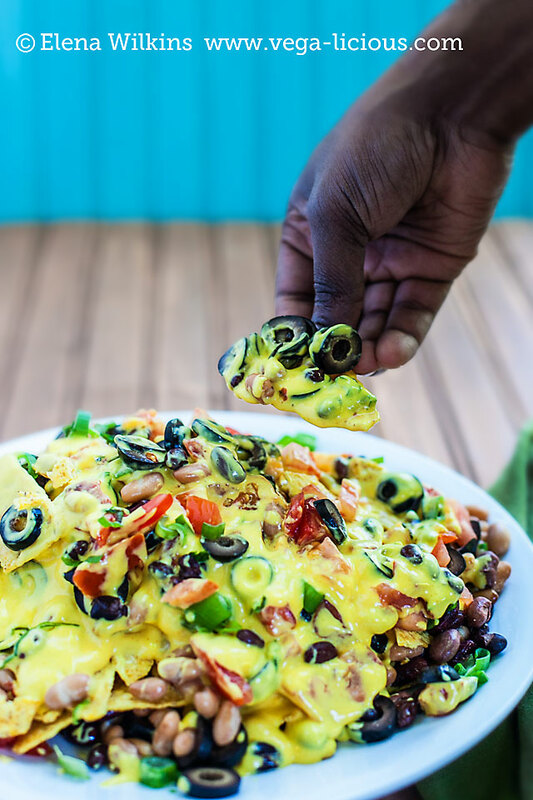 See, when I get bored in the kitchen, or don’t know what to make for dinner, I start thinking about all of the new dishes I could create to spoil Hubby and Sprout, and to make my life easier. This was no exception. I made my grocery list, and Sprout and I went shopping. We never buy junk food. Almost never. And if we ever want a treat, then we make it as healthy as possible. I happened to pass by the chip aisle when something struck me, and I reached out for Hubby’s favorite corn chips. Staring at them I thought–I could make this work! A few weeks prior we went to Portland on a date and dined at a vegan restaurant. 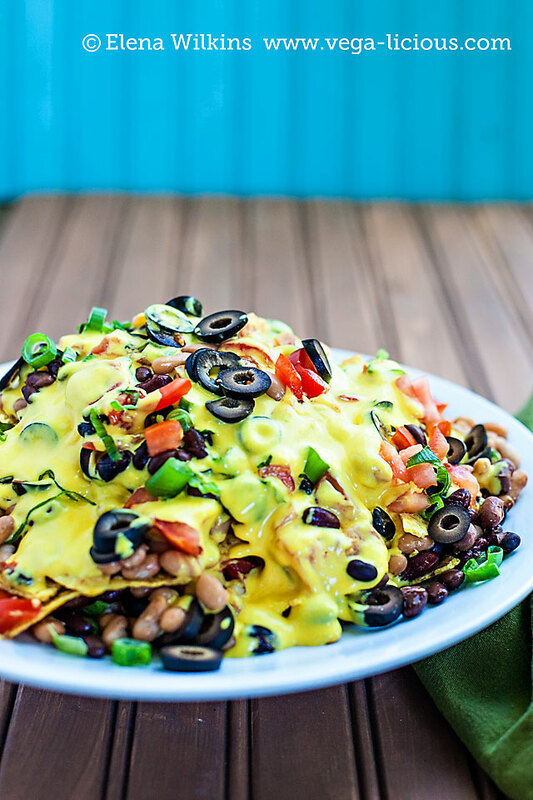 He ordered loaded nachos. While the cheese mix was ok, the chips were horrendous! I could not eat them because they tasted like spoiled cardboard. Naturally, I told Hubby that I could do better than that. So, it seems my subconscious mind was holding on to that promise until I passed by the chip aisle, and it sprang up that promise to the forefront of my mind. 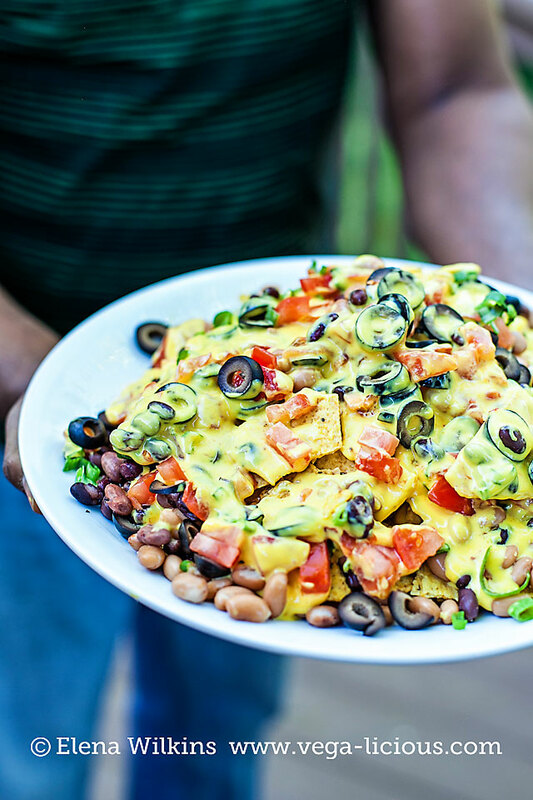 I HAD to make loaded nachos. They HAD TO be easy to make. And they HAD to be better than the ones we tasted! That’s all I knew at that moment. And then, much like a robot responding to a commend, I found the rest of the ingredients that I thought would go exceptionally well with my idea. 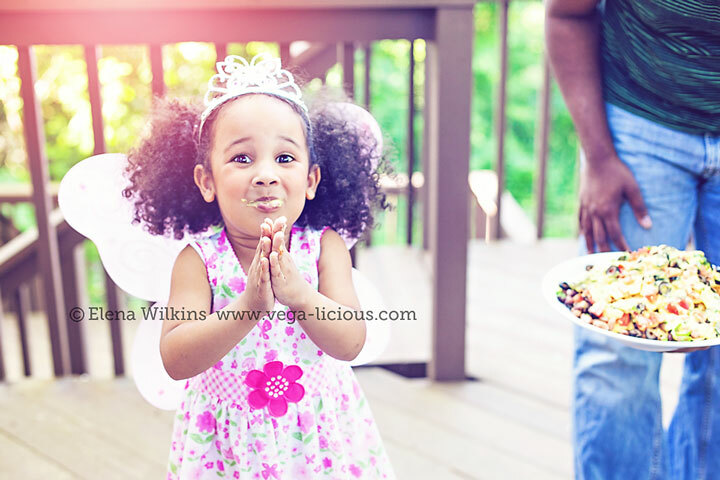 Failure was not an option–I had two discerning palates to impress. Once we got home and unpacked, with literally minutes before Hubby’s arrival from a long day at the office, I sprang to action. It was a hit! So much so, that I had to keep reminding them–This is a treat! Pace yourselves! However, I don’t think that they heard a word I said between the crunching of corn chips and them being lost in the pleasure of the moment. 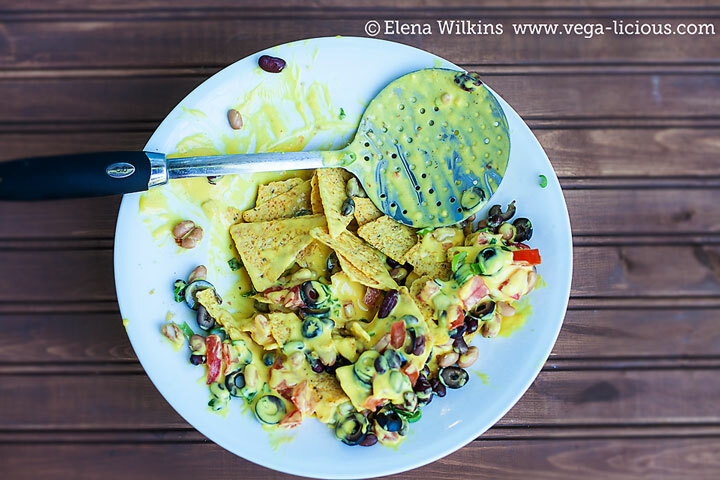 So, if you’ve been longing for a vegan version of nachos–you will find that this is the best vegan recipe for it out there. In fact, I made these for Sprout’s 4th birthday celebration last week, and Hubby was praying that he would have leftovers. The man has a very discerning American food oriented palate, so I know that I can trust his judgement. 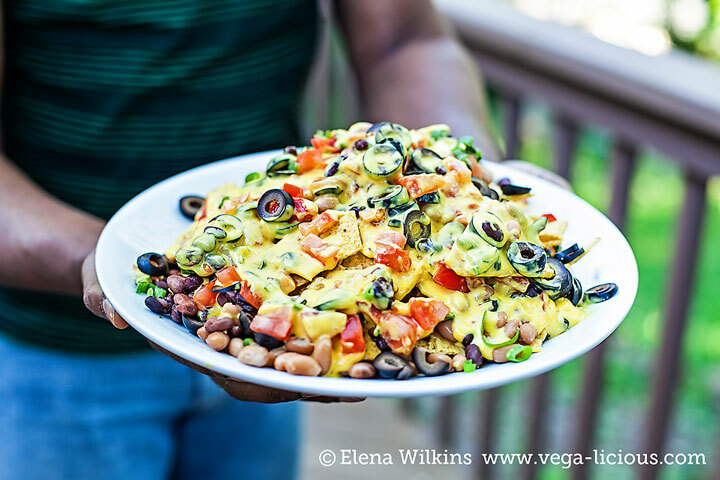 Delicious loaded vegan nachos--healthier, kinder, and more delicious than their animal based alternative. Once you try these, you'll have to institute a limit on how much you can eat, since you won't be able to stop. 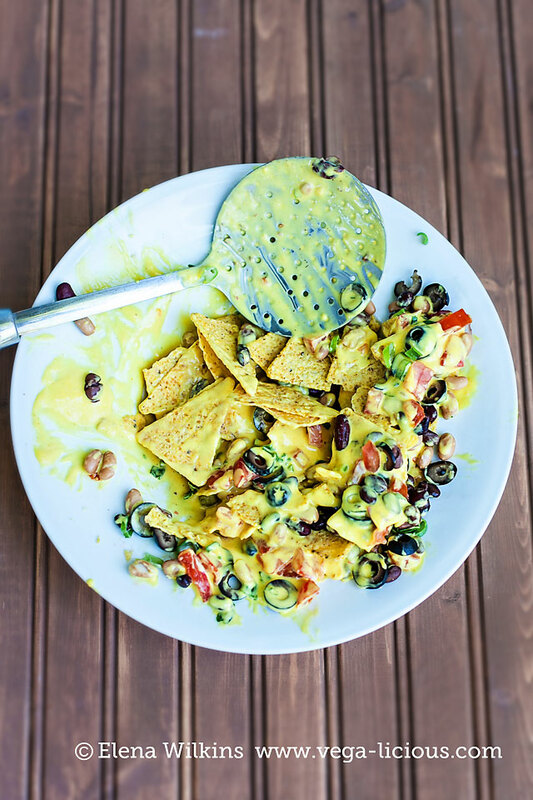 *Alternatively, after cheese has been made, mix all ingredients, except for chips, in a dipping bowl, and scoop up this deliciousness with chips. Leftovers then can be easily stored in the fridge for 4+ days. Make ’em and let me know how you like them.